Neck pain from surgery is a common postoperative consequence of many spinal operations in the cervical region. 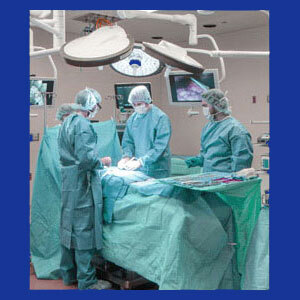 Surgery can cause pain to begin or can worsen existing pain problems. We have written in great detail about the hazards of cervical spinal surgery and how advantageous it is to avoid undergoing any type of operation on the dorsal anatomy. However, we also understand that surgery is both indicated and necessary in rare circumstances and therefore have great sympathy for patients who are damaged by their surgical ordeals. Neck pain may or may not be the reason why surgery is performed in the first place. Regardless, it might become the end result of the surgical journey, which can be frustrating and tortuous for any affected patient. There are so many procedural variants in the cervical spinal surgical field and many conditions to be treated. Unfortunately, the majority of people with postoperative neck pain actually went into the operating room with the hope of ending previous pain complaints of similar nature. A few patients had no history of neck pain prior to surgery, but developed chronic symptoms at some point after their operations. This dialog examines the incidence and causes of neck pain after spinal surgery. We will examine both new cases of pain that were not experienced preoperatively, as well as pain that existed both before and after the surgical intervention. The majority of people who undergo spinal surgery have a history of back or neck pain. The most commonly treated condition is a cervical bulging disc, with other commonly targeted conditions including cervical central spinal stenosis, cervical foraminal stenosis, cervical facet syndrome and general cervical spinal arthritis. Less commonly treated conditions include cervical spondylolisthesis, cervical scoliosis, and various cervical spinal lordosis problems, such as hypo and hyper variants of front-to-back curvature. All of these conditions have the potential to generate painful symptoms due to purely structural mechanisms. Most will enact pain through nerve compression, but some will become symptomatic due to mechanical circumstances that negatively affect spinal functionality. Regardless of the type of pain generated, patients suffer greatly and eventually acquiesce to undergo surgery in order to end their torment. Whether or not to have surgery is always a difficult choice to make and it is obvious that most patients feel that the risks outweigh the potential downsides, which is why they proceed forward with invasive care. Some patients do not have any history of neck pain prior to undergoing surgical intervention on the cervical spine. These patients might be seeking treatment for cervical central spinal stenosis that is symptomatic, but not locally painful, a spinal syrinx or a non-dorsalgia related condition, such as cancer, cyst removal or stabilization of a non-painful spinal abnormality, like scoliosis, hyperlordosis or spondylolisthesis. These patients also have to make a tough decision to undergo surgery, given its many and varied hazards. However, they proceed forward hoping that all will go well and that their condition will be stabilized or resolved. Regardless of the efficacy of meeting the primary surgical objective, many patients endure postoperative neck pain that does not diminish in the expected timeframe. In fact, many of these patients now suffer chronic pain that persists for potentially very long durations. Most of these patients who were not burdened by neck pain before the operation are shocked that they now have lingering pain and possible functional deficits in muscle or nerve functionality. As with the patients detailed above, most are informed that their pain will be transitory, but statistics clearly show this not to be the case. Actually once established, patients who suffer postoperative pain for more than 12 months will likely suffer with their conditions for life. Infection can occur after any surgery and may produce acute or even chronic consequences in the neck anatomy. Scar tissue can form around spinal structures and might even affect nerves themselves. Scar tissue might be a painful occurrence, although acute pain due to its formation is rare. Nerve damage is a terrible consequence of surgery and can affect any of the spinal nerve roots, peripheral nerve tissue or the spinal cord. Nerve injury can create lasting pain and permanent functional deficits in motor, sensory or autonomic functionality. Mechanical structural spinal problems might be created by surgery. Joints might not move smoothly or bony vertebral faces might interact, all potentially causing painful expressions, particularly when the affected region is mobilized in specific ways. The very nature of some surgeries is problematic, including spinal fusion, synthetic disc implantation, corpectomy and implant placement. Whenever the spinal anatomy is altered against its natural design, the potential for pain is present. Some procedures are well known to exacerbate, accelerate and magnify the typical degenerative processes in nearby spinal levels to symptomatic degrees. Surgery is often a trigger for mindbody sources of pain, as well. Although there might be no structural basis for pain, chronic symptoms might still result if the mind chooses to create a chronic syndrome to distract the consciousness from troublesome emotional issues.